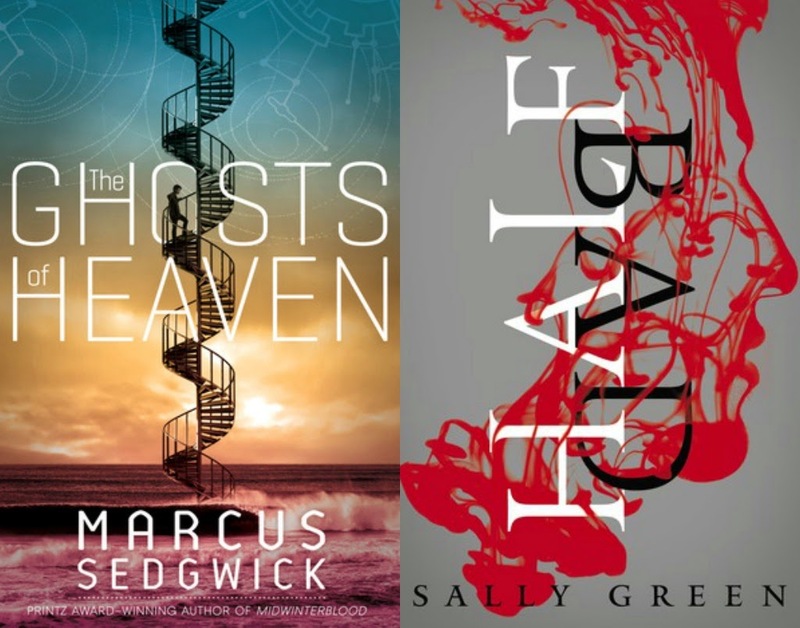 After only managing to finish 4 books in March, April was a much better month for me. I got through a lot of kindle books at night, and began to tackle my pile of physical books too. I finished 14, so let's get started! This is comprised of four stories, linked by the central theme of spirals. The idea is that spirals are everywhere and have been since the beginning of time - in staircases, in plants, in insects, in our fingerprints. Supposedly this can be read in any order (presumably to drive the point home that spirals have no beginning or end) but I read it in the order of publication and it was fine. The first story was set in caveman times and was more of a long poem, the second was in the middle ages and set around witch trials, the third was in an asylum in the 1920s, and the fourth was in space. It was thought provoking and good, but the maths stuff in the 4th story went over my head. 3 stars for the middle two stories, brilliant. They were reminiscent of The Crucible and Shutter Island respectively. Nathan is a witch - half white, half black. Black witches are captured on sight and killed, so his life is in grave danger. He wants to find out more about Marcus, his Voldemort-esque father, so embarks on a journey to learn about him while trying to avoid capture on the way. When he reaches 17, he will receive three gifts that will allow him to become a fully-fledged witch - but who will give him his gifts? He hears of someone named Mercury who might be able to help, so decides to go and find her. Throw in a love interest and a host of secondary characters and you have a mediocre read that didn't leave me aching to buy the sequel. I read two non-fiction books this month, both had a similar writing style. A book about beanie babies?! How interesting could that be?! - VERY! This was the true tale of the Willy Wonka-esque creator of Beanie Babies and how he basically turned a very simple idea into a multi-million dollar operation. The creator refused to give his side of the story - notoriously private Ty Warner doesn't even have a telephone number listed for his company. Zac Bissonnette travels all over America talking to people who spent their life savings on beanie babies that are now worthless. He also talks to people who worked for or know Ty Warner - and builds up a picture of a man who treated his workers generously while appearing to loathe fellow businesspeople. This was a brilliant read, so entertaining. I read about this on Breige's blog - to be honest, it took me a while to get through. I found a lot of it to be repetitive,but it was still a good look at the role social media has in instantly punishing people. Jon talks to people who have been publicly shamed in some way - be it for a picture posted online, or an ill-judged tweet - he follows their stories and finds out what happened to them afterwards. He also asks - can you ever recover from a public shaming? I was spoiled with Zac Bissonnette's engaging writing in the previous book, so this fell a little flat for me, but I still enjoyed it. 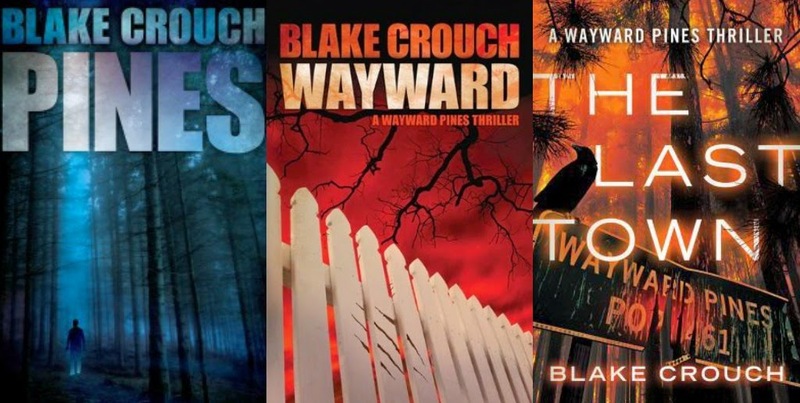 I heard about Blake Crouch's Wayward Pines trilogy when I heard that a new TV show starring Matt Dillon was coming to FOX TV in May. It looked like a cross between Twin Peaks and The Stepford Wives so I wanted to see what the books were like - they were fantastic and I read all three over a weekend. FBI Agent Ethan Burke is on a mission to investigate the disappearance of two Federal Agents. He wakes on the side of the road in a strange town with bruises and cuts, and no memory of who he is. He is in the small town of Wayward Pines, and needs help. Unfortunately for Ethan, he soon begins to realise that once you arrive in Wayward Pines - there's no getting out. Now that Ethan knows the truth about the town, we see what happens when other residents begin to figure it out. There's a branch of residents who are trying to break away - Ethan is asked to infiltrate them, but can he do it? Will he use what he knows to help them escape? More importantly, is there any point in trying? In a book reminiscent of Hugh Howey's Dust, we find out about the origins of the town and those in charge. Meanwhile, all hell has broken loose in town and everyone is in grave danger. There's only one thing that Ethan can think of that will save them - but will anyone go along with him? Brilliant, loved it, definitely going to watch the series (May 14th, FOX, Sky 188 & UPC 126 - it's apparently the three books in one series). Those of us over a certain age remember reading this in Primary School - who wasn't affected by the death of baby Bridget and the uncertainty over whether the children would survive the famine? It's amazing what stays with you over the years - I didn't remember the story 100% but I had always remembered the blood-letting of the cow and how sick that made me feel. It's easy to be detached from the events of the famine while we sit with takeaway numbers and full freezers to hand - it's humbling to read about events that took place in reality, events our ancestors survived. A must-read even if you've read it before. This took on a whole new meaning for me reading it as a Mum, the parents must have been so terrified for their children. This is a really creepy atmospheric thriller about a grieving couple who have lost one of their twin daughters. They are preparing to move into a lighthouse keeper's cottage inherited by the husband. The remaining twin begins to claim she is actually Lydia, the twin they thought they had buried. Have they made a huge mistake or is there something more sinister at play? The couple have other personal issues to overcome, neither of them are being 100% honest and the little girl is a great character. Recommended! A look at how a couple cope when one of them is affected by mental illness. This follows the highs and lows of their relationship, and how they deal with it - this got a bit silly towards the end for me but it was a worthwhile read and not a theme I've come across too often lately. A young girl narrowly escapes a horrific killing spree one night that leaves most of her family dead and her father accused of the murders. Years later, she is living far away from her hometown under a different name - until her boyfriend has to perform best man duties for a friend holding her wedding there. Will the townsfolk remember her? Will she discover that someone knows what really happened the night she lost her family? A really good thriller - the "big reveal" let it down for me, it ended a bit abruptly, but the descriptive writing and the story up to that was brilliantly captivating. The premise for this was great - a successful wealthy lawyer finds a bucket list he wrote when he was 12 and realises he hasn't completed half the things he wanted to do as a boy. He embarks on a journey to tick items off his list - and gets on a motorbike to ride cross-country. He gets about an hour in before he has an accident, and meets a stunning doctor (as you do) and despite the title being the uber-romantic "kiss a girl in the rain" (one of the items on his list), the two of them are at it like rabbits before you can say "What's up Doc?" rendering the whole thing pointless. Insta-love, utter tripe, horrible characters, predictable (there's a heavily pregnant character, so we know what's going to happen there). Waste of time. This was physically one of the most challenging books I've ever read. Eimear doesn't write in traditional sentences - it's a "stream of consciousness" style that has been compared to Joyce (not a fan). It's a basic story - Holy Catholic Ireland, secrets, abuse, shame, more abuse, loss, death, grief, more secrets, more shame, more abuse, more death - it's very hard to read (physically and emotionally), and for that reason I think that when I found my rhythm I stayed with it and got completely sucked in to the character's head. It had me in tears more than once and I have thought about it several times since - worthwhile, but you need the energy for it. If you have experienced a loss recently approach with caution. I dipped my toe into the world of Rachel Joyce last year with her book Perfect (review here), which I liked. This had been recommended to me several times since, so I thought it would be something easy to read after the Eimear McBride book. Harold gets a letter from his old friend Queenie to say Goodbye, as she he has cancer and can't be cured. He writes a short reply and walks to the postbox to post it. When he gets there, he decides to walk to the next one, and so on. Harold ends up on a 600 mile pilgrimage from the South of England to Scotland to "save" Queenie and let her know she has something to hang on for. Harold and Queenie aren't the real story here - Harold and his wife Maureen have a sad, strained marriage with both of them afraid to express their feelings and thoughts after some incidents that left them broken. Maureen goes on a journey as much as Harold - their relationship had me in tears! A lovely, lovely book and I'm currently tearing through Queenie's side of the story in Rachel's latest book, The Love Song of Miss Queenie Hennessey. So that's it - as always, I'm open to recommendations, so please let me know if you're reading something good at the moment. Hopefully you'll discover something from this post that you will enjoy! Ah under the hawthorn tree. I really would love to give that book another read. And Ameila by Siobhan Parkinson. thanks for the reading inspo once again, Sharon. You always put me to shame when it comes to reading!! 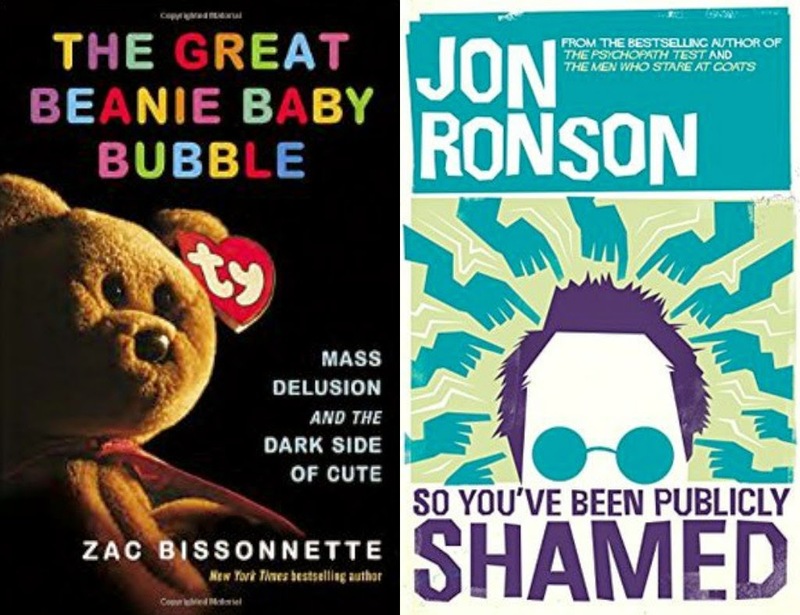 I do think the Jon Ronson book was a bit repetitive too, but I did really enjoy it. I did feel he could have done a small bit more as well though, it felt a bit incomplete in ways. I am looking forward to reading the Beanie Baby one! Incomplete, that's it! Exactly! For a book that went so in-depth into some shamings he barely skimmed others. I also found it weird that they published the photo that they went to such great lengths to erase from the internet but anyway! The Beanie one is great. I haven't read anything in WEEKS. Last I read was Pretty Easy, it was alright. I'm an awful combo of impatient and speedy. It's never taken me more than a day and a half to finish a book, so I feel guilty buying 'em. I tried A Girl is a Half-Formed Thing and wasn't pushed on it really. I read for enjoyment, and didn't feel invested enough to push through the odd style and get into the plot. Gonna make a note of that Beanie Baby book, sounds like just my kinda thing. I've stopped buying physical books (unless amazon do their 3 for £10 thing or I'm at a boot sale) and gone back to the library but I've an awful habit of loading the kindle up and borrowing loads and then sitting going - actually, I feel like playing the Sims - so it's daft, I need to whittle the to-read pile down in a big way! 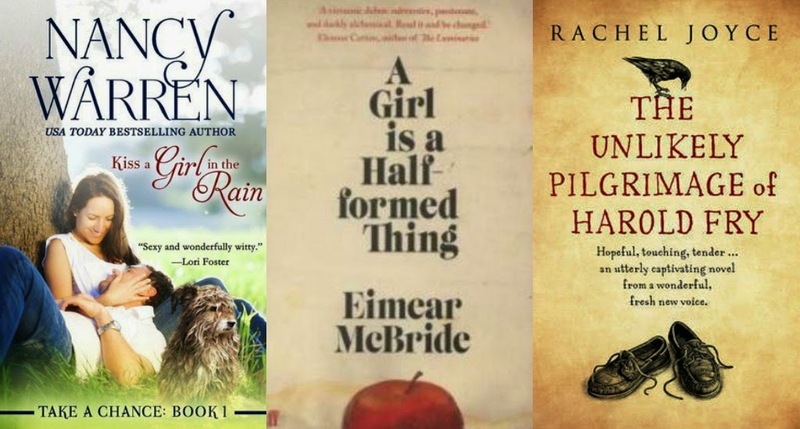 The only reason I finished the Eimear McBride one was because I was in full-on reading mode, if I had left that down at all I'd never have gone back. That's what happened with the Lena Dunham one and I just had to abandon it! 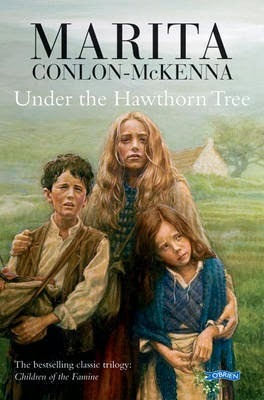 I feel a re-read of 'Under the Hawthorn Tree' coming on. I have 'So You've Been Publicly Shamed' and 'The Accidental Life of Greg Millar' waiting on my Kindle for me to get to them. I haven't picked up 'A Girl Is A Half-Formed Thing' in months, but I'm going to give it one more try before adding it to the did not finish pile. A Girl.... is worth it but if you can't get into it, leave it. Greg Millar was a surprise find, came across it by accident and was surprised how much I enjoyed it!